Payouts for activities will improve, while prices for certain items will drop in order to reduce grind in Red Dead Online. Rockstar Games announced new updates for Red Dead Online, with the main fixes centering around the “broken” in-game economy. Right now, there are two forms of currency in Red Dead Online: Cash and Gold Bars. While Cash can be earned by completing missions and selling pelts, Gold Bars are a form of premium currency that can be purchased in exchange for real money. Using Gold Bars, you can purchase special cosmetics and premium items, like a horse that’s slightly better than the best horse you can buy for Cash. This has fueled accusations of pay-to-win, while others will point out that GTA Online had similar economy issues. That said, Rockstar Games is working to reduce grind by adjusting payouts and balancing the cost of in-game items. 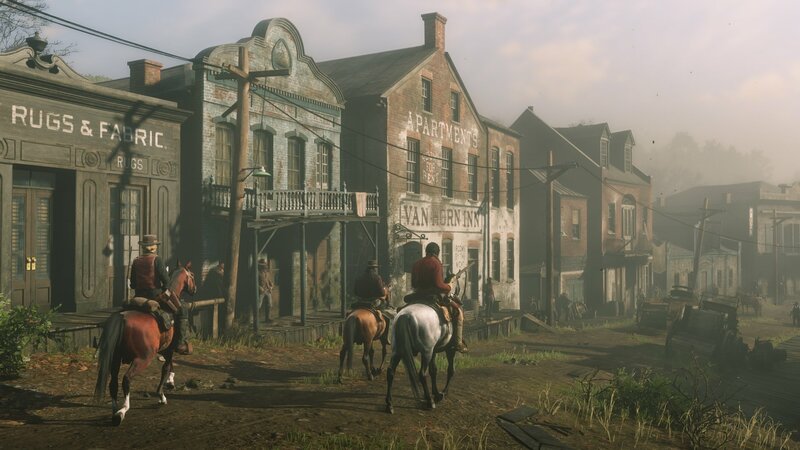 Once the updates to Red Dead Online are made live, players can expect an increase in Cash and Gold payouts for activities including Free Roam Events, Free Roam Missions, Showdown Series modes, A Land of Opportunity mission replays, and so on. Essential items will see their prices reduced, along with most weapons for sale at Wheeler, Rawson & Co. The cost of select items Red Dead Online will be reduced, while payouts for activities like Free Roam Missions will increase. When selling items like pelts, players will be able to get a little bit more Cash for their efforts. Rockstar also plans to refund players a small percentage of Cash to those who already purchased various items. What’s more, if you participated in the Red Dead Online Beta from November 27 through December 6, you can expect to receive $250 Cash and 15 Gold Bars for your troubles. We appreciate Rockstar taking the time to make adjustments to the economy of Red Dead Online, and for issuing in-game currency to players who participated in the Red Dead Online Beta. What do you think of the changes coming to Red Dead Online’s economy? Are you looking forward to less grind, or are there other improvements you think Rockstar could make? Let us know down in the comments below!